So there! You have set up and checked out the new features on your new and shiny Windows 7 computer. If you have got the Internet connection up and running, let's start installing stuff. Here's a list of apps that you must install. Face it: Internet Explorer is not a good browser. Even IE9 isn't as good as expected. Tests have shown that too. So the first thing you should install on your new computer is a new web browser. With Firefox, Opera and Chrome all being pretty good browsers, it's up to you to choose one. Google Chrome: It's built for simplicity and speed. By far this is the fastest browser on the market right now. If you get the beta or dev versions, they are much more better (but may be buggy). Mozilla Firefox: Firefox is the most customizable browser ever. With the huge add-ons gallery, you can make this open-source browser do almost anything, for free! Get Firefox 4 beta and you'll love it even more! Opera: This browser may not be that fast, but the new extensions gallery and amazing new version is bringing it up. It also has some features no other browser has. VLC Media Player is also a must-have. It plays almost every media format, and even region code protected DVDs. Is there any other reason not to download this one? 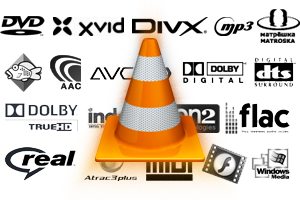 Download VLC Media Player here. CCleaner: This is my favorite app for cleaning up the trash that gets collected on your system with regular use. You can clean up temp files and other stuff from a variety of programs, plus CCleaner even fixes up your registry, which will get bloated with installing and uninstalling apps. for optimum performance. Recuva: Recuva is a program from Piriform that can recover deleted files from your hard drive, and even other media such as memory cards. I recommend that you keep this installed, so that you can recover right away and not have to worry about the deleted data to be permanently lost. Defraggler: This is the perfect substitute for Windows' Disk Defragmenter. Other than defragging your drive efficiently, it even has quick defrag that does the job when you don't have the time. If you like, Piriform also has a new app called Speccy that can instantly give you all the detailed specs for your new computer. It can retrieve the exact model of the motherboard to even temperatures of your video card and CPU. No one needs to purchase anti-virus programs these days. Even Microsoft is giving away a free, full-featured security app. Microsoft Security Essentials is a fast, light app that updates and protects you all in the background. It has a no-hassle interface and feature set. There's even more. It integrates perfectly with Windows and its inbuilt security features. Download MS Security Essentials here. Windows Live Essentials has so many tools that you will love to have with your new computer. Windows Movie Maker is gone from Windows 7. You need to download it as part of Windows Live Essentials. There's also the Windows Live Photo Gallery and Windows Live Messenger, among others. Download Windows Live Essentials here. Don't prefer Windows Live Messenger? Get Skype. Everyone uses it and loves it. It's a VoIP (Voice over Internet Protocol) app built for voice and video calls. The new version even allows you to video call a group. You can also use Skype to call phones almost anywhere in the world and send text messages at really low rates. This one is a must-have in your arsenal. MS Office is the perfect office suite ever. You can see the details, compare versions and purchase a download (even a disc) at Microsoft's site. You can even download a 60-day trial from there. If paid is not your style, then you can go for free and (usually) open-source office programs. But they won't surely be even as good as Microsoft Office. There may be others available, but these are the best ones that you can get for free. GIMP is a free photo-editing program, which is open-source, and thus free. GIMP is said to be as powerful as Photoshop (though it isn't as user-friendly, according to me), along with being free. At times, it may be sluggish and may take time to open. But it does offer you great features, and it is well documented on the web too. So good luck and have fun with your new computer! If you loved this post and found it useful, please connect to this blog.